Sebatron are an Australian company, who have R&D and manufacturing facilities based in Melbourne. To proclaim their complete faith in all their products, Sebatron are quite unusual in that they offer a 30-day 'return if not completely satisfied for a full refund' guarantee, plus a 12-month warranty on faulty valves and a three-year warranty on everything else. Would that all manufacturers were that supportive. Sebatron seem already to be very well-known in America, where they have acquired a reputation for competitively priced yet high-quality valve products. In the UK they're still little-known, but I suspect that is about to change. 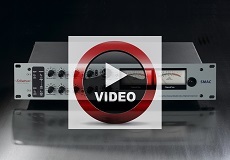 Sebatron's VMP series of preamplifiers all share the same fundamental design concepts and are intended to bring some deliberate character to the recording table, in the shape of classic valve warmth or harmonic richness. However, unlike some valve products, the coloration isn't excessive or overdone in the VMP, and it can be controlled by choosing how hard or gently the preamp is driven. 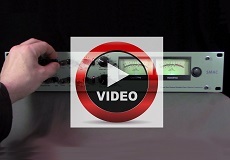 Treat it nicely, and it can be almost transparent — just like proper vintage valve preamps! Part of the secret is that the VMP-series preamps are all discrete hybrid designs, combining valve and solid-state technology, and in such a way that audio quality is paramount. All models in the range feature transformer-coupled mic inputs plus direct instrument (DI) inputs; switched, passive two-band equalisation; and an active pad circuit that varies the negative feedback around the input valve to control gain and affect coloration. In essence, the valve preamp stage provides 60dB of gain on its own, but by introducing more negative feedback around the circuit, the gain and coloration are reduced, hence the provision of a pad switch rather than a gain switch. The input stages are built around 12AT7 (ECC81) dual-triode valves, using a traditional high-tension (+300V DC) anode voltage (no starved-anode frippery here! ), and the signal path is single-sided Class A throughout. The output stages are discrete solid-state circuits, still operating in Class A up to the balanced output, and powered from relatively high-voltage rails for optimal headroom and transient response. The construction of the VM series is impressive, with hand-built, single-sided boards that carry mainly the high-quality semiconductor parts. Sebatron use point-to-point wiring for the high-impedance elements of the circuit, in order to avoid the surface irregularities between component and PCB tracks, which they believe degrades the sound quality. The linear power supplies they use are scary beasts, providing around 450V DC for the valve-stage regulators! I looked at the VMP 2000eVU, which is a two-channel unit (there are also single- and four-channel variations in this series). The single- and two-channel versions can be specified with or without large rectangular VU meters, but other than the metering the channel feature set is identical for all versions. The complete preamp assembly is housed in a substantial, 2U, rackmounting steel chassis, and it weighs about 4.5kg (for the two-channel version) and measures 190mm behind the rack ears. The vintage-style cream-coloured powder coating is easy on the eye, and makes the control legends very clear to read. The front panel is divided into separate preamp channels (two in this case). A pair of large, backlit VU meters occupy the areas that would, in the four-channel version, be allocated to channels two and four. To the right-hand side is the mains power switch and power-on light. Each channel has a simple set of controls, dominated by a large rotary knob, which is labelled Output Level and calibrated arbitrarily from 0 to 10. All of the other controls are silver toggle switches. Starting top left is the pad switch, which effectively determines the preamp's coarse gain, with options of 0, -15 or -25dB (the manual refers throughout to -30dB instead of -25dB, but the attenuation is obviously in that ballpark). As you might expect, given that this switch determines the amount of negative feedback, the lowest gain setting (-25dB) provides a clean, bright and pretty neutral sound, while at high gains (0dB) the sound becomes noticeably more coloured and warmer, as the top end rolls off sooner. On Sebatron's web site they suggest that at the lowest gain setting the frequency response extends between 10Hz and 110kHz (±2dB), which is impressive! Sadly, though. there's no indication of how it fares at higher gain levels. In fact, the manual itself provides no technical specifications whatsoever, and only a very limited subset of the expected information can be found on the company's web site. Under the gain switch, two more toggles engage a polarity reversal and switch phantom power on (an associated LED warns when this is active). The two remaining switches control a passive EQ section, which is placed in the circuit ahead of the valve gain stage. This EQ is partly to assist in matching the microphone to the amplifier, and is placed before the gain stage to minimise the valve's noise contribution. This unusual circuit topology results in the frequency response of each filter setting varying slightly with the pad-switch gain setting. Both filter switches have three positions, providing a total of nine possible EQ-setting combinations. The top switch affects the upper end of the spectrum, with positions labelled 'Bright' and 'Air'. The former adds a lift above about 2kHz, while the latter has a higher turnover (about 8kHz). The bass-end switch has positions labelled 'Deep' and 'Lo Cut'. 'Deep' is used to apply some well-judged bass boost (I guess below around about 120Hz), while 'Lo Cut' does as its name suggests in the same frequency region. On the standard 2000e model, the only other front-panel facility is an unbalanced DI input socket, with automatic source selection taking place when a plug is inserted. However, the VU model has another three-position toggle switch under the large VU meter. This configures the sensitivity of the meter in three ranges (low, medium and high). 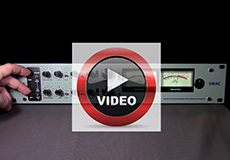 The medium range is calibrated such that the 0VU mark equates to 0dB at the balanced output. The rear panel is equipped with an XLR input for each channel, plus both XLR and TRS quarter-inch outputs, and these connectors are all wired back to the PCB, rather than being mounted directly on it, which is always a good sign in terms of reliability. The XLR input can accommodate a line-level signal at a push, but is really intended only for microphones. The output XLR operates at a nominal +4dBu and is capable of providing a whopping +28dBu into a 600(omega) load, while the TRS socket can only manage +22dBu — but it can be used unbalanced without any problems. The manual suggests that the TRS output is ideal for feeding a mixer or headphone amp for zero-latency monitoring while recording. At the left-hand end of the panel is the IEC mains inlet, voltage selector (120 or 240V) and fuse holder. The Sebatron VMP 2000eVU is quite a fun box for recording all manner of things where musical coloration is desirable. It really adds a lovely sonic flavour to vocals, with a nicely weighted bass-mid range and a smooth, creamy top. In fact it worked well on pretty much all the solo instruments I tried, lending a thick, musical character at medium and high gains, which only rarely seemed to conflict with the sound. It also proved surprisingly good on kick and snare drum mics, producing an excellent, fat sound quality, especially with the EQ switched to Deep to bolster up the low end. The Bright switch helped to emphasise the beater click nicely on kick drums, too. The EQ facility is very handy, and affords the ability to brighten or warm up the sound tastefully and always in a complementary way. The bass end seems to become fatter and fuller in the Deep mode, without sliding into territory where terms such as boomy or bloated would apply. The Bright and Air switches were very useful not only in adding presence and air to vocals.There's no getting away from the fact that the VMP 2000eVU is a very characterful device, and this is clearly what it was designed to be. In areas where musicality and colour are beneficial, the VMP proves to be a very interesting and creative tool. I also tried running a complete mix through the VMP to add some character to the track, and it worked very well.